1-Hour contest for complimentary entry on Facebook. 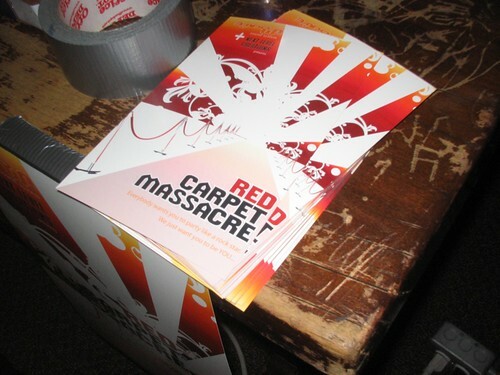 We will be doing a contest for 10 free comps to the launch of RED CARPET MASSACRE this Saturday. Keep your eyes peeled for a msg fr the BSS Facebook group with the subject line “RCM contest”. There will be a trivia question to answer to claim your comp. When you respond, pls incl:trivia answer, name & email address. Congratulations, y’all! See ya @ the Massacre!!! 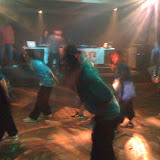 …love the King’s Head – nice likkle venue. OH, OH! Clash 4 is comin’! Shaping up to be quite interesting. Good number of possible entrants incl prev and 1st time Clash-ers. Ideally looking @ a “fatal four-way” team format – times will be decided once entrants are finalized & order will be determined, as well. 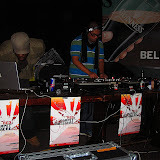 Will be opening up the genre category, too – going too be mad exciting. Wish we could give you the list of possible combinations/teams – patience, anjin-san! BSS scheduled to debut new monthly. We’re mad excited about the launch of Red Carpet Massacre – the new monthly residency that we have set up at The Academy FDM, 437 Stradbrook. We’re teaming up again with Dougie B – last played with us at Funk Bundown: RED Edition – who will be sharing co-residency duties with us.The last time we threw a party @ The Academy was the second WTF? party in November, which was off the proverbial chain. We’re looking forward to coming back the last Saturday of every month with RCM. – Dougie B has booked DJ Huggs. …should be posting Winter Wonderland flix soon; unforch, vid footage was hecka grainy – not likely to use it.